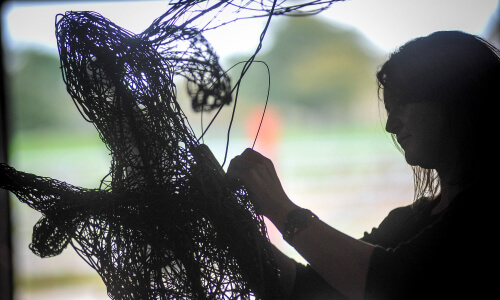 Emma's exquisite wire and willow sculptures of wild and domestic animals and birds are inspired by the creatures of the North York Moors around Whitby, where she now lives, and by memories of an East Yorkshire childhood. 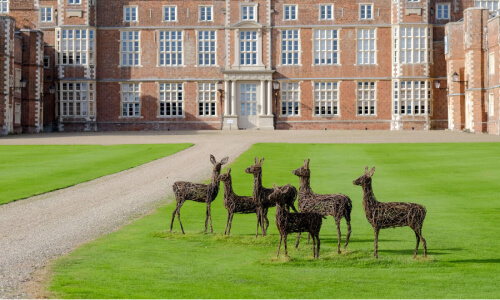 Emma's wire and willow sculptures have been seen worldwide, and can be found in the Royal Gardens at Highgrove and the two-Michelin-starred Belmond Le Manoir aux Quat’Saisons, as well as many private and public collections. 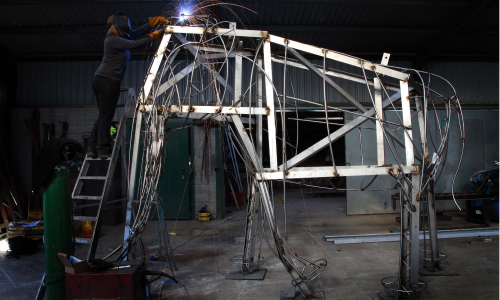 Emma’s work has been seen worldwide, and can be found in the Royal Gardens at Highgrove and the two-Michelin-starred Belmond Le Manoir aux Quat’Saisons, as well as many private and public collections.